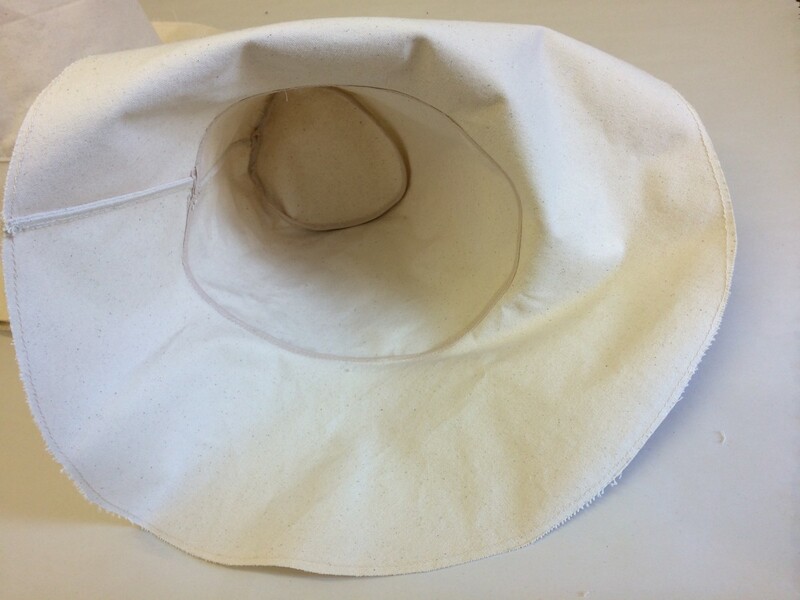 Made from heavy off white canvas, inside seams are bound and the outer edge of rim is left raw The tall crown of this hat traps air and helps keep the wearer cool. I am often given scraps of fabric, I was given a piece of artists canvas when a neighbour was clearing his studio, I needed a sun hat so I went for a style I felt would transcend time culture and place. The shape of this hat is inspired by the workers hats of yore; spotted generally from France to Peru on the heads of peasants toiling in the fields under the midday sun. Although it might get marked or battered it only increases in character and tells a story of sunny days being tossed in the sea, buried in the sand or recovered from a corn field. Also available to order with oil painted sky, please enquire if you are interested in this option. 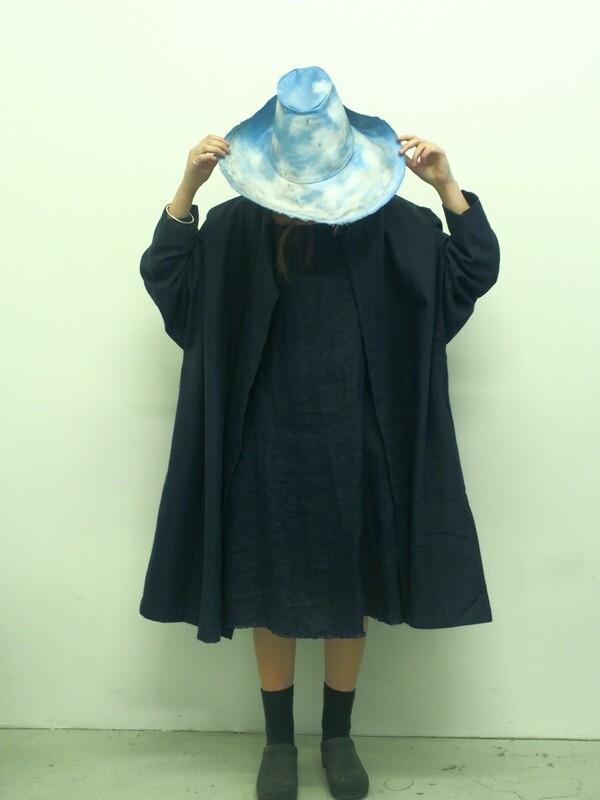 Pictured : ‘Canvas Hat’ with a ‘Constable Sky’ by Sarah Wetherall. Size: Medium or 62cm inside rim, should fit 57cm head measurement with room for comfort. Other sizes made to order.